Date opened: 1.8.1848. The line opened from this date but it is uncertain when the first train used the station. It is likely that trains called at the station on market days (Tuesdays) although it is not named in a public timetable until November 1851. Present state: The down platform is extant and is fenced of from the Bubwith Rail Trail which runs through the station site. The station building, which is Grade II listed, stands at the back of the platform. On the platform side it is largely unaltered, but at the front it has been substantially extended. It has recently been renovated and is in excellent condition, including the short canopy in front of the booking office. The east end of the goods dock can be seen beyond the property, and the base of the 5-ton crane which was on the south side of the line is extant; this was in the timber yard. 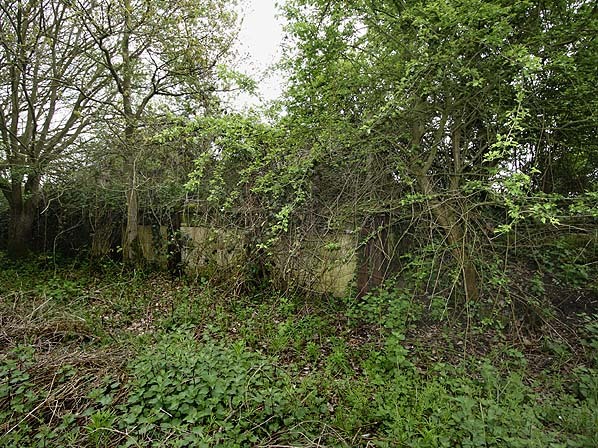 The goods yard behind the down platform has been cleared, with some new buildings, but one of the original railway gate posts at the entrance to the yard survives. Notes: Although the line opened on 1st August 1848 it is unclear when Harswell Gate station actually opened. It may have opened with the line, but probably only on market days (Tuesdays) and with limited or no facilities. A regular daily service is not shown in timetables until November 1851 when Harswell Gate is named for the first time. The station was originally called Harswell Gate serving the hamlet of Harswell half a mile to the north. It was renamed Everingham on 1st September 1874 although the village of that name is nearly three miles to the north-west. As the line was originally single-track there was only one platform on the down side of the line when the station opened. After the doubling of the line c.1889, the station had two staggered platforms one either side of the Harswell Lane level crossing. 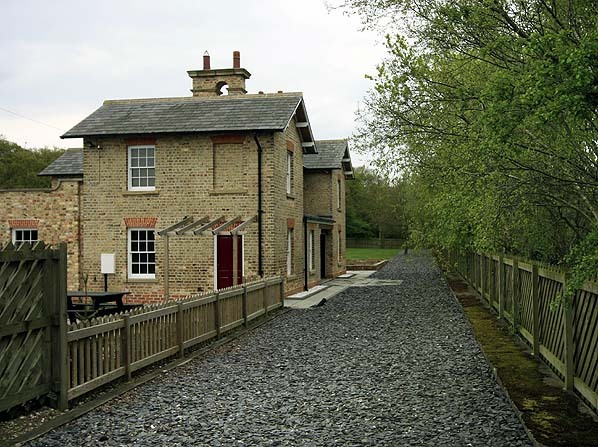 The main station building, which incorporated the stationmaster's house, was on the down platform. It was similar in design to station houses and crossing keepers’ houses both on the Selby to Market Weighton line and the York to Market Weighton line. It was a two-storey brick building with twin gables and a recessed central section between the two wings. The booking office and waiting room were located in one half of the ground floor. There was a short awning in the recess in front of the booking office. A timber waiting shelter, built to the standard NER design, was sited on the up platform. A 13-lever signal box was sited on the up side of the line to the east of the level crossing. This controlled the crossing gates and access to the goods yard which was on both sides of the line to the east of the level crossing. Three sidings accessed from the east ran behind the down platform; two served a goods loading dock and the third served coal drops. There was a weighbridge and office at the end of the coal drops, near the entrance to the goods yard. A further siding which served a timber yard was accessed from the west, opposite the down platform; a 5-ton crane was sited alongside this siding. This was the only goods yard between Market Weighton and Selby with a crane. In 1911 the station’s catchment area had a population of 407. 3,118 tickets were sold that year, and the main freight handled was potatoes with 494 tons being dispatched from the station. In 1913, 99 wagons of livestock were loaded at the station. Prior to the building of railways, farmers in the East Riding of Yorkshire had to rely on water transport to get their produce to market. The rivers Humber and Ouse, linking York and Selby with the docks at Hull, had always been navigable, and the River Derwent was made navigable by an Act of 1701. The Market Weighton Canal, running south from Market Weighton to the Humber estuary, opened in 1778; the Pocklington Canal, running west from Pocklington to the River Derwent, opened in 1818. This L&HR was one of a number of contemporary projects aimed at linking the east and west sides of northern England. The Leeds & Hull scheme soon stagnated, due in part to the stock market crash of 1825. In the meantime the Knottingley & Goole Canal opened in 1826, turning Goole into a viable transhipment port for Europe. The growth of Goole as a port to rival Hull was sufficient to spur the Hull-based shareholders of the Leeds & Hull railway into action. At the end of 1828 they motioned that the railway should be built as far as Selby, with the remainder of the journey to Hull being made by steam packet, most importantly, bypassing Goole. The shareholders passed the proposal at a general meeting in Leeds on 20 March 1829, and the Leeds & Selby Railway Company was formed. allowing construction of the double-track line. By 22 September a single complete line of track had been built, and the railway was officially opened to passengers from a temporary terminus adjacent to the quayside at Selby. Both lines were complete by 15 December 1834, on which date the railway began to take goods traffic. In 1835 George Hudson formed a committee to promote a line to be known as the York & North Midland Railway, which was incorporated in 1836. This proposed line would join the North Midland at Normanton, a few miles east of Leeds, and it received its Act of Parliament in 1837. The first section of the Y&NMR opened on 20 May 1839 between York and a junction with the Selby line at Gascoigne Wood, with the remaining section to Normanton opening on 1 July 1840. A spur to Methley Junction, giving access to Leeds via a working arrangement with the North Midland, was opened on 27 July 1840, followed by a southbound curve from the Leeds & Selby at Gascoigne Wood. The line was extended southwards to Burton Salmon by 11 May 1840, with another short chord to the junction with the Leeds & Selby opening on 9 November 1840. The remainder of the Leeds to Hull route was revived by George Hudson as the Hull & Selby Railway. It received its Act on 21 June 1836 and ran almost directly east from Selby to Hull. A bascule bridge was constructed across the River Ouse at Selby, just north of the jetties at the rear of the original Selby station. A new through station to the north opened with the Hull & Selby line on 2 July 1840, and the old station became a goods shed. the Hull & Bridlington Railway; an Act of Parliament was passed in 1845 giving permission to build the line which would run through Driffield and Bridlington and onward to join the York to Scarborough line (authorised by Parliament on 5 June 1844) at Seamer. In the same year the Hull & Selby Railway was leased to the York & North Midland Railway, becoming part of George Hudson's expanding railway enterprise. The Seamer to Filey section opened on 5 October 1846 with the Hull to Bridlington section opening the following day. The final link between Bridlington and Filey, which had been delayed due to difficult terrain, opened on 20 October. Although four lines into Market Weighton were eventually completed separately, George Hudson’s York & North Midland held powers for a complete route from York to Hull which was authorised by an Act of 18 June 1846, with a requirement that the line should be completed within five years. On the same date the YNMR (East Riding Branches) No. II Railway Act authorised the building of a 22-mile single-track line from the Hull & Selby line to Market Weighton. Running across flat, open ground with 22 level crossings, the line would have no major engineering features apart from a bridge over the River Derwent at Bubwith,. The contractors for both lines were Messrs. Jackson and Bean, with stations built by Burton & Son. Construction of the line from York started almost immediately with a proposed completion date to Market Weighton of 4 September 1847, the Selby line opening two months later. The latter date soon proved overly optimistic owing to the difficulty in agreeing the siting of Bubwith station and the provision of goods facilities at a number of stations. The double-track York line opened to Market Weighton on 4 October 1847, and the single-track Selby line from Barlby Junction to Market Weighton eventually opened on 1 August 1848 with intermediate stations at Cliff Common Gate, Duffield Gate, Menthorpe Gate, Bubwith, Foggathorpe Gate, Holme (Yorks) and Harswell Gate. 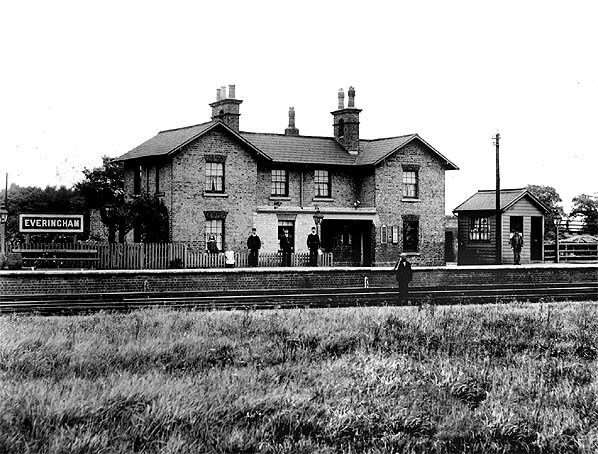 An additional station close to Bubwith – known as Bubwith High Field - first appeared in timetables in January 1859: this finally resolved the lengthy dispute about the siting of Bubwith station. The exact opening dates of the intermediate stations are uncertain. The August 1848 Bradshaw only lists the Selby line as a footnote to the York - Market Weighton timetable. No details are given until October 1849 when two intermediate stations at Dubwith (incorrect spelling of Bubwith) and Holme are shown. From 1850, footnotes in the timetable refer to a Tuesday market and Monday fortnightly fair with trains to York stopping at all stations, but without naming them. These stations might have been provided from the opening of the line as sufficient stopping time was allowed in the timetables; although it is unlikely that any facilities would have been provided at stops used only by market trains. From November 1851 all the stations are shown with no limitations on days. The ‘Gate’ suffix – frequently found in Yorkshire, and referring to the level crossing gates – was later removed from Cliff Common and Foggathorpe, whilst Harswell Gate was renamed Everingham in 1874 and Holme became Holme Moor in 1923. Weighton and three between York and Selby, and it was suggested that by juggling the timetable only one locomotive would be required to run both services - but this could not be achieved. By 1866 there were four daily trains between Market Weighton and Selby. The route was always used by excursion trains to Scarborough from its opening, with services being provided by the L&YR. Traffic on the York line did not live up to expectations, and it was listed for singling as early as 1853, while the doubling of the Selby line started in 1889. At this time Duffield Gate station closed as it attracted very little traffic. Once the doubling had been completed an enhanced passenger service was introduced. This comprised twelve down and ten up trains, some not operating over the entire line to Selby, and some being expresses over one of the sections. All trains north of Market Weighton, except for one local each way, ran through to Bridlington, and there were several conditional stops, one at Everingham being to take on passengers for London. The isolated station at Enthorpe at first had trains only on Wednesdays, Thursdays and Saturdays. By 1899 the service was even better, with two Selby-Bridlington expresses operating between 10.00 and 11.00 with only 20 minutes between them! Enthorpe was also given a regular service of five trains each way, and generally this line was far better served than the Beverley-York line. From its opening Market Weighton had been a terminus, but it was always intended that the York line should be extended south to Beverley, and the Selby line east to Driffield. The extension to Beverley proved problematic due to the routing of the line across the Dalton Holme Estate. By this time the Y&NMR was in financial difficulty, and they argued that there was now little public demand for the line. This view angered local people and, when the Y&NMR became part of the North Eastern Railway in 1854, the company found itself under local pressure to complete the line. There was much debate, which included a proposal to build a completely new line from Market Weighton to Brough. In 1860 the NER eventually agreed to build the line to Beverley as originally planned, and an Act was granted on 30 June 1862, with work starting in September that year. The single-track extension opened on 1 May 1865. At this time the NER had no plans to extend eastward from Market Weighton to Driffield. In 1884 an independent company, the Scarborough Bridlington & West Riding Junction Railway, projected a route from Seamer; this would bypass Bridlington then pass through through Driffield and Market Weighton, from where it would turn south-west to reach to Howden. This proposal was not greeted with much local enthusiasm and, when the company dropped the west end of the route between Market Weighton and Howden, the NER offered to operate the remaining section of line, but only between Market Weighton and Driffield. Construction started in 1888, and the line opened on 21 April 1890 with intermediate stations at Enthorpe, Middleton-on-the-Wolds, Bainton and Southburn. From the outset the Driffield line had a good service, with most trains running on to Bridlington. There were, however, only three through trains between Selby and Bridlington, two morning (down) trains with one in the evening from Selby and one mid-morning up train and two in the evening; this could hardly be described as a regular service.The Scarborough Bridlington & West Riding Junction Railway was purchased by the NER in 1914. By 1922 the line had settled down to a more regular service with five through down trains and four up trains, and an additional short-running service between Bridlington and Market Weighton. On 29 May 1899 there was a meeting between the Escrick and Flaxton rural district councils and the NER to apply for a Light Railway Order for a line to run from Foss Islands, York, to Cliff Common on the Selby and Driffield line. There were no objections from NER, and the Board of Trade granted the Derwent Valley Light Railway Order in 1902. Four parish councils were against the new line as were 260 individual landowners and ratepayers, and the two councils who had originally promoted the line were now deterred by the high cost, so the powers were allowed to lapse. A new order was granted in 1907, and a new company was inaugurated with capital of £81,000 in £1 shares. This time the councils supported the line, as did local farmers who were eager to use the new facility to get their produce to market. The line opened in stages with the first section between Cliff Common and Wheldrake opening to goods traffic on 29 October 1912; it was an immediate success. The whole line, 20 miles and 19 chains in length, opened to passenger traffic on 21 July 1913. The northern terminus at Layerthorpe connected into the NER's Foss Islands branch, and was also the administrative headquarters of the DVLR. At Cliff Common the DVLR ran into its own platform on the north side of the Selby and Driffield down platform. At this time there was a direct connection with the Selby – Driffield line, which was to prove useful during WW1 when the NER ran some of its Selby - York trains to Cliff Common and then onto the DVLR to York instead of using the East Coast main line. During the 1920s, however, passenger numbers on the DVLR dropped rapidly from 49,000 at the end of the First World War to just 18,000 in 1925 as bus services spread into the countryside. In 1926 passenger services ended, although special excursions did run from time to time. Goods traffic, however, continued to prosper. By BR days this direct connection at Cliff Common had been removed, with a convoluted route through sidings now providing the only connection between the two lines. Following the 1923 general grouping, the LNER improved the service on both the York and Selby lines, with a fast service provided for commuters between Bridlington and Leeds which was achieved in 1 hour 35 minutes. The LNER also experimented with a petrol/electric railcar between Selby and Market Weighton. The 1903-built railcar and its shed at Selby were destroyed in an accidental fire in 1926. A number of steam railmotors were then acquired, and in 1932 two of these were shedded at Selby with another at Bridlington; they made two daily return trips, one mid-morning and the other mid-afternoon. WW2 brought a reduction in the service, with three daily trains in each direction calling at all stations between Selby and Driffield, and different stops for each service between Driffield and Bridlington. At this time the railmotors were also still in use. After the war there was little improvement to the service; in 1950 there were three through trains in each direction with some short running services between Bridlington and Market Weighton, and no Sunday service. The line was still well used by excursion traffic to Scarborough, especially on summer Saturdays, with up to 17 excursions using the line. While the Market Weighton to York service still carried a reasonable number of local passengers, many of the stations on the Selby line were little used: in 1940 Menthorpe Gate took only £17 in passenger fares while Foggathorpe and High Field generated only £29 and £43 respectively. Only Southburn (£477 P/A) and Middleton-in-the-Wolds (£1,615 P/A) were taking more than £1 a day! 14 September1959) and Holme Moor and Everingham, which handled goods traffic until 1965. A limited passenger service between Selby and Bridlington was retained, with one morning train from Selby returning from Bridlington in the evening. There was an additional morning train from Bridlington to Market Weighton with a connection for York, but this was withdrawn before the line closed. Final closure of the line to all passenger traffic was proposed for 15 June 1964. There was an appeal, but it only delayed the inevitable as the Transport Users' Consultative Committee said that they could see no way of alleviating hardship for the very small number who would be affected. The end came on 14 June 1965, and, with the closure of Holme Moor and Everingham goods depots on 2 August 1965, the whole route was completely defunct. Summer excursions which formerly used the line would in future be diverted via Hull. 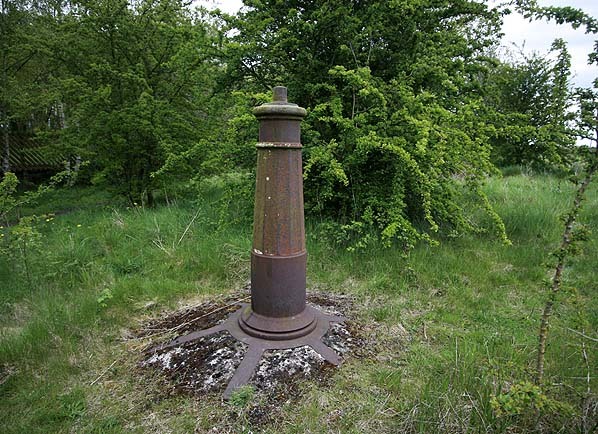 The closure of the Selby - Driffield line meant that the DVLR had now become a dead-end branch from York with the result that the section from Wheldrake to Cliff Common, which had opened first of all, was abandoned from 9 February 1965. Elvington to Wheldrake followed on 19 June 1968 and Dunnington - Elvington on 19 January 1973. 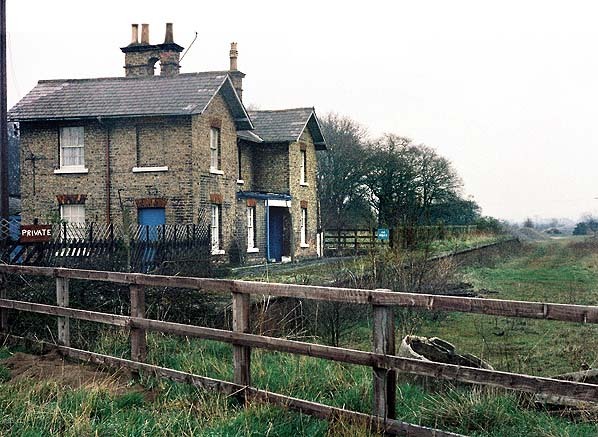 The DVLR closed completely on 27 September 1981, but the station buildings and sidings at Layerthorpe came into the hands of British Rail who owned the Foss Islands Branch. This ensured the survival of the station until 1989 when the branch line closed. On the York - Beverley line, the position was rather different. The introduction of diesel multiple units saw a general acceleration of the service which proved popular, but this line too was to fall under the Beeching Axe.Some stations had closed before the 1960s, but passenger services on this line were withdrawn on 29 November 1965, and the remaining stations at Earswick, Stamford Bridge, Pocklington, Londesborough, Market Weighton and Kipling Cotes closed. Today most of the Selby route is traceable, with a 13-mile section between Bubwith and Market Weighton now reopened to cyclists and pedestrians as the Bubwith Rail Trail. There is some evidence to be seen at all of the stations and at some of the goods yards. Tickets from Michael Stewart, Bradshaw from Chris Totty, route map drawn by Alan Young. Thanks to Sean of Selby (Flickr photostream) for providing transport on 4th May 2020 at short notice. Everingham station down platform before October 1905. 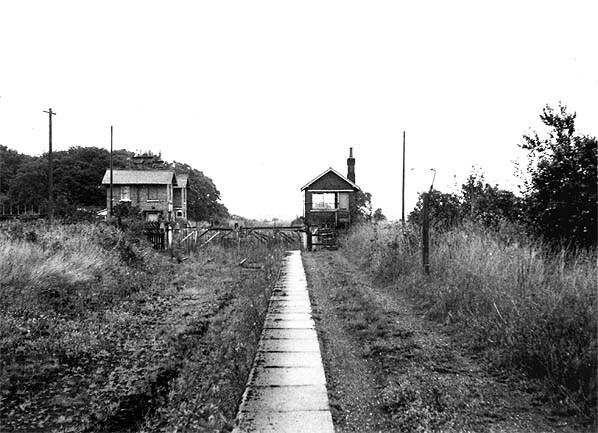 Everingham station looking east along the up platform in August 1971. Everingham station looking east at the down platform in April 1977. The east end of the goods loading dock in Everingham goods yard in May 2010. The base of the 5-ton crane in Everingham timber yard in May 2010.